This is one of the two photos that did not make it into the Metamorphosis~Art of Blythe Book. I am just so thrilled that Junko san chose any of my photos to appear in the book! This is my 1st Blythe doll, a custom Simply Mango named Lola Bella. 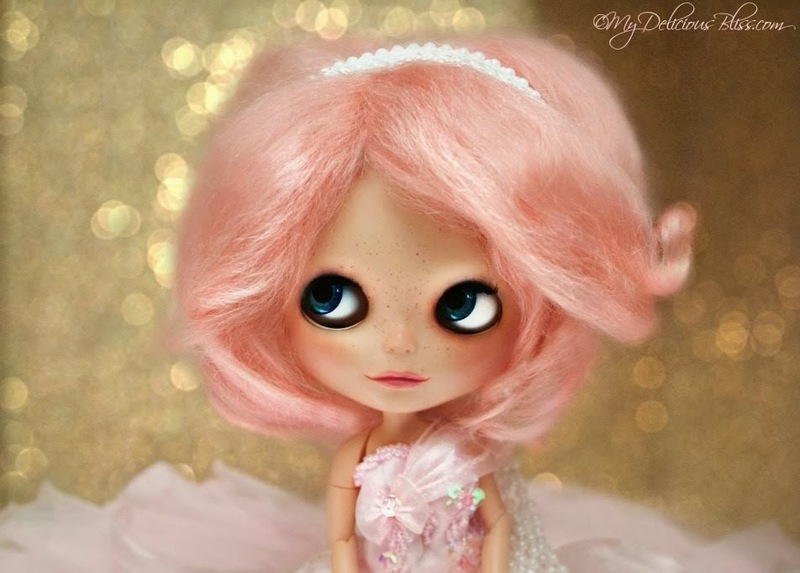 She has a cotton candy pink Yatabazah Luxury Wig and is on a Pure Neemo Flection S Body.